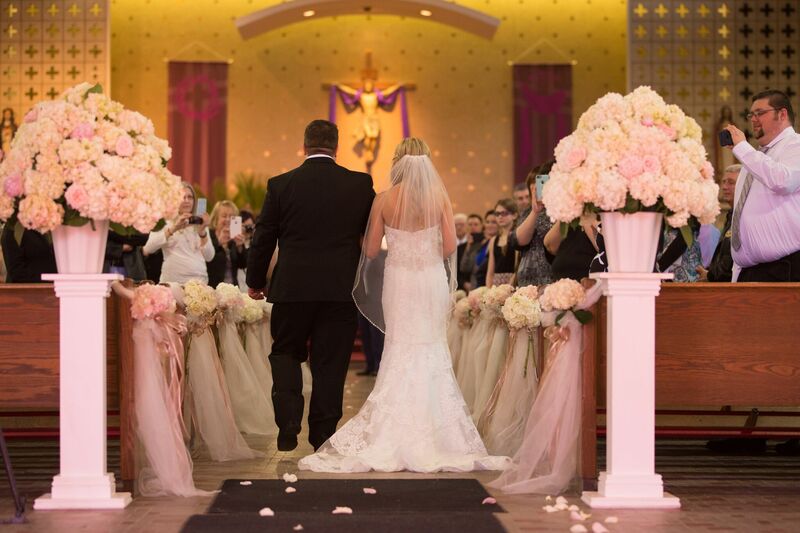 Rachel and Darren were the first ever Hitched 716 Wedding Giveaway winners! They beat out hundreds of other hopeful couples to win the wedding of their dreams. Picking out a custom engagement ring from Reeds Jenss was the first step, follwed by wedding bands. Before the wedding Rachel and Daren spent the day at Blu Spa where Buffalo Limousine picked them up and took them to their ceremony. Christopher Scinta Photography captured every moment of the day. Maureen’s flowers were draped down the aisles and throughout the Buffalo Science Museum. Darren was especially excited about their custom cake from Muscoreil’s and of course their fabulous meal catered by Oliver’s. After their return from their tropical honeymoon from The Travel Team, their tableware was waiting for them from Reeds Jenss. Edgar & Whitney were the winners of Hitched 716’s second Wedding Giveaway! 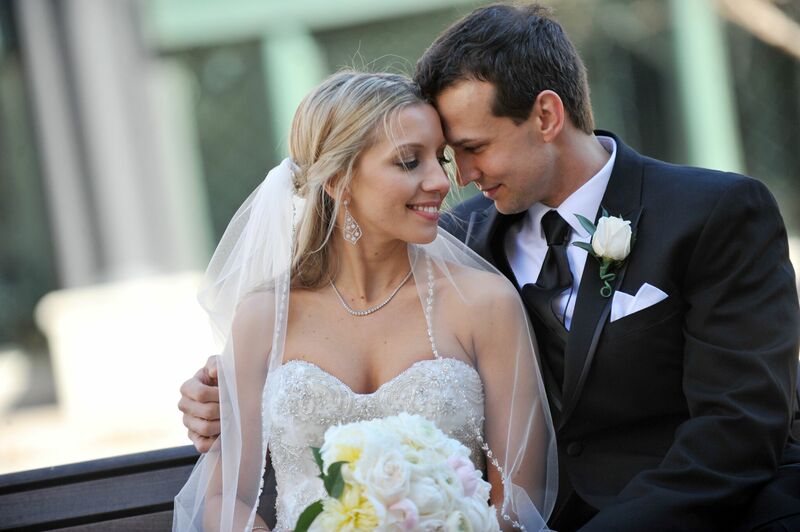 Whitney picked out a beautiful yellow diamond and wedding bands to match from Reeds Jenss. 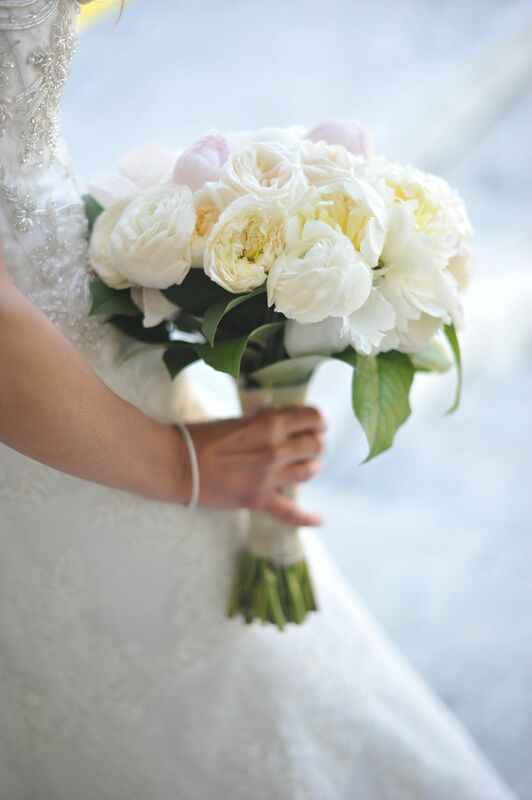 The couple had their rehearsal dinner at the luxurious boutique hotel on Delaware, The Mansion. They selected beautiful flowers for the ceremony from Maureen’s Flowers and added a floral touch to her hair done by Blu Spa. The couple arrived at the Buffalo History Museum from Buffalo Limousine, where they enjoyed a deliciously catered meal from Oliver’s. 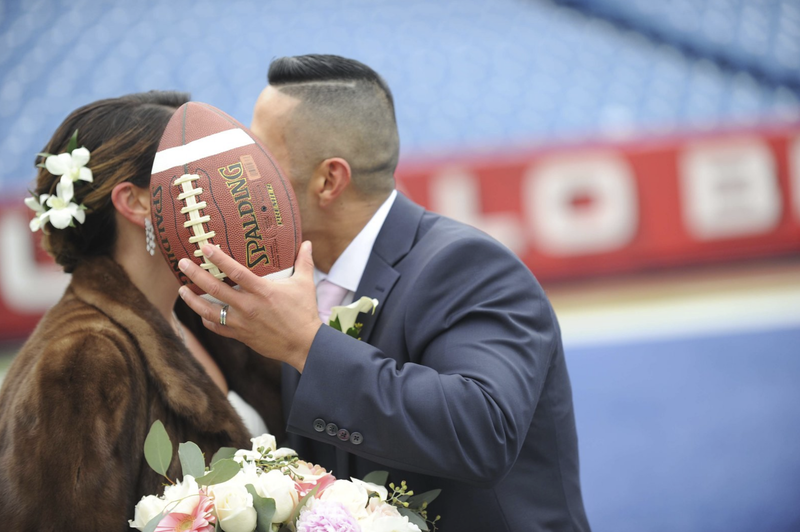 Christopher Scinta captured the couples day from the ceremony, to New Era Field. The couple ended their dream day with something sweet from Muscoreil’s, their Buffalo themed, sky-line wedding cake. Whitney and Edgar continued to celebrate their love on their honeymoon in the Mayan Riviera from the Travel Team Inc.